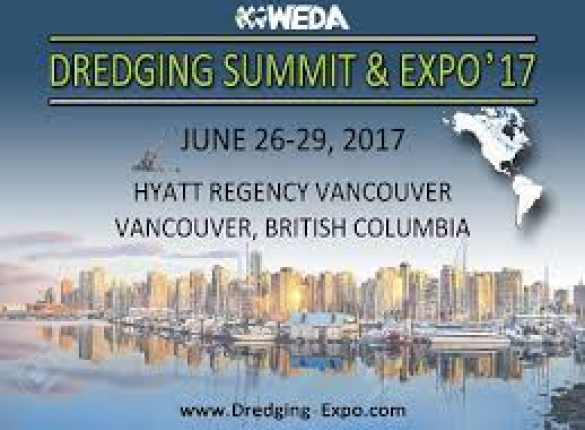 VOSTA LMG will be showcasing their latest developments in Engineering concepts, automation, components and dredging solutions at the Weda Dredging Summit & Expo 17 in Vancouver from 26th upto 29th June 2017. What can you expect? Our fully automated fallpipe pontoon, the new F1 multi connector, new conceptual teeth and ball joints and a team of VOSTA LMG experts that look forward meeting you. Let’s talk about your dredging challenges and find how we can simply improve your business. Visit us at the Weda Dredging Summit & Expo, booth 60 and 61. On the 27th of February 2019, the Trailing Suction Hopper Dredger “REEM ISLAND” of Koon Construction has performed a successful sea trial in Singapore. Testing the newly installed VOSTA LMG Dredge Pumps and the upgraded DCMS (Dredge Control & Monitoring System), with VOSTA LMG Automation Technology. During Europort 2017, from 7 upto 10 November 2017, VOSTA LMG will present its latest dredging products at stand 4017 in hall 4.